The unfortunate truth about arthritis is that those who have it, are constantly trying to find relief from it. But is there a method that actually works? With more than 100 different types of arthritis, there’s no set treatment for everyone. Once your doctor does an evaluation to determine your specific type, a diagnostic test is done to confirm the diagnosis. Osteoarthritis is one of the most common forms of the disease. It occurs when the cartilage in the joints starts to break down. Osteoarthritis mainly affects the hips, knees and spine, but can also target the neck, thumbs, fingers and large toe. In the beginning, joints become stiff due to a loss of elasticity. Soon, the cartilage starts to deteriorate, causing discomfort as tendons and ligaments are stretched. Pain increases when worn cartilage causes bones to rub together. Many arthritis patients find it hard to do anything involving their hands or knees. They tend to take over-the-counter medications like acetaminophen or anti-inflammatory pain killers. While these drugs are effective as an immediate remedy for pain and inflammation, the results don’t usually last long. Luckily, there are alternative options for treatment. With a little patience and a proper diagnosis, together you and your doctor will be able to come up with a plan that’s right for you. Freedom Home Care lists several areas of treatment commonly used by people suffering from arthritis. You may have already incorporated a number of these into your regime. 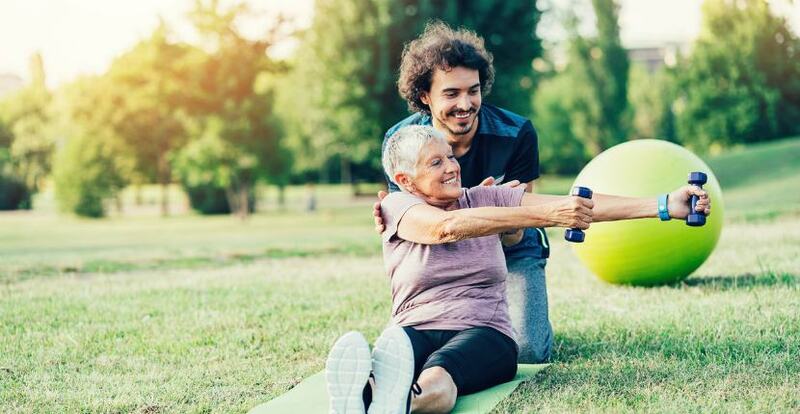 Contrary to what you may be thinking when you hear the word exercise, many experts say it’s actually one of the best natural solutions for arthritis. Instead of making the pain worse, low impact physical activity helps strengthen the muscles that surround the bone tissue. It also helps reduce the amount of stress placed on your joints. Exercise is also beneficial in improving your overall health. You get more energy and a better night’s sleep just by doing a few movements each day. Aerobic, strengthening, and range-of-motion are a few types of exercise that can be done to help provide relief and increase your level of fitness. Proper nutrition is always one of the best ways to promote health living. And a balanced diet becomes even more important for patients suffering from arthritis. Doctors also suggest adding omega-3 fatty acids to your meal plan in order to reduce joint stiffness and pain. Other sources of fatty acids include gamma-linolenic acid which is found in things like borage, hemp and primrose. Although not a fatty acid, tumerick is also said to have natural anti-inflammatory properties. Other activities like walking, swimming and biking are great low impact exercises that help improve cardio health, control weight and increase stamina and endurance. If you are looking for more ways to help a loved one suffering from Arthritis, we can help! Our trained staff is able to assist in Arthritis care in the Chicagoland area.